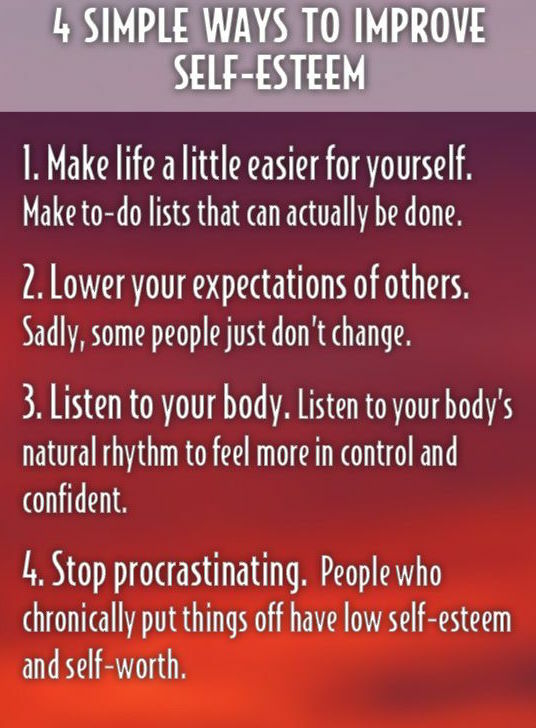 When it comes to self-esteem building, why not start by doing things you're already good at? We all have things we want to do and look forward too, and things we dread doing. Roasting a chicken for dinner may be something you enjoy, while cleaning the toilet doesn't make that list. While it would be fun to only do the things we enjoy, that isn't feasible. What we can do, is use the things we're good at, the things we enjoy doing, and the things that make us happy to boost our confidence so we have the energy and will-power to do the things we don't like as much, but that also need to get done. It's very draining when everything we need to do each day are things we don't enjoy. Our entire attitude is negative and it feels like an uphill battle. We feel defeated from step one. We've all had those days, or even times in our lives and it's not a good feeling. It's important to make sure you do something regularly that you're good at, take pride in, and that you enjoy. It doesn't have to be your favorite activity on a daily basis, but it should be something that you can do without too much effort. For example, you may be good at putting together reports and compiling complicated data into an easy to read and digest format. It may not be your favorite thing in the world to do, but it's something you know you're good at. That can be a good daily task that will give you a boost in confidence. Having a favorite hobby and making time to do that is another great option. Maybe you take a lot of pride in your garden, or love the feeling of finishing a woodworking or knitting project. If that gives you a boost of confidence and makes you happy, carve out some time for it regularly. Maybe you can work on your project for a half an hour before bedtime, or maybe you dedicate an afternoon to it on the weekend. It's important to incorporate these tasks and activities because they give you the energy and drive to tackle the stuff you dread (like cleaning the toilet). Start by thinking about what you're either good at, or what you really love to do. Write it down so you have a short list of activities to work from that will boost your confidence on a regular basis. From there it's simply a matter of making sure you incorporate at least one of them each day. Get in the habit of doing that and you'll quickly start to notice a measurable improvement in your attitude and self-confidence. Use that positive energy to carry you through the tasks you don't enjoy as much. Sometimes just taking a baby step can get us motivated to keep going. Doing something, no matter how small, that you enjoy gets you that much closer to self-esteem building! I encourage you to give my FREE CONFIDENCE BOOSTER HYPNOSIS SESSION a listen. You'll feel an immediate lift in your self-esteem!